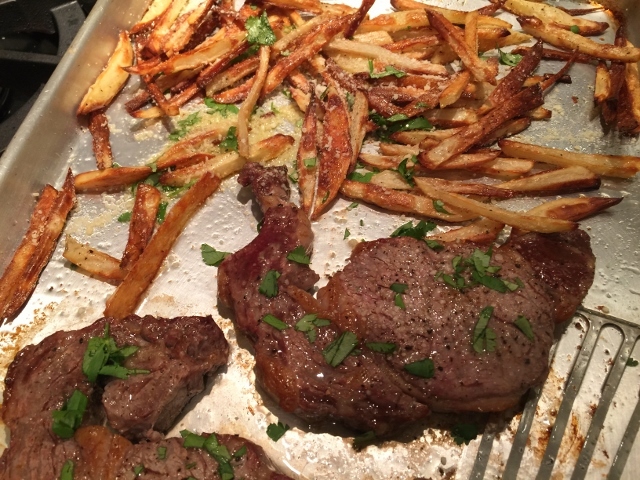 Sheet Pan Steak Frites - Recipe! - Live. Love. Laugh. Food. 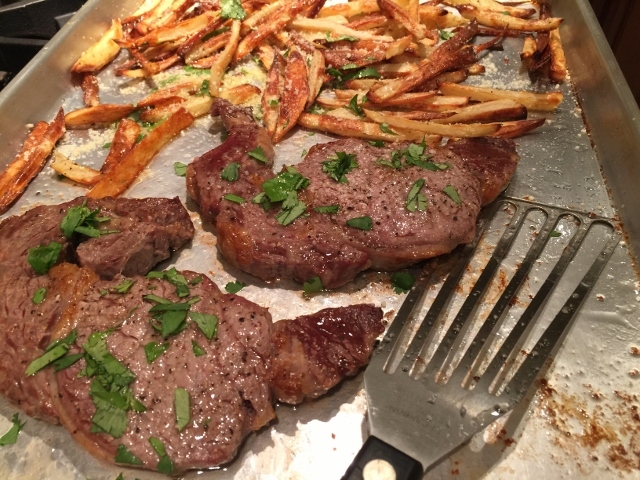 Sheet Pan Steak Frites – Recipe! Steak Frites is steak and fries in French and who doesn’t love steak and fries?? 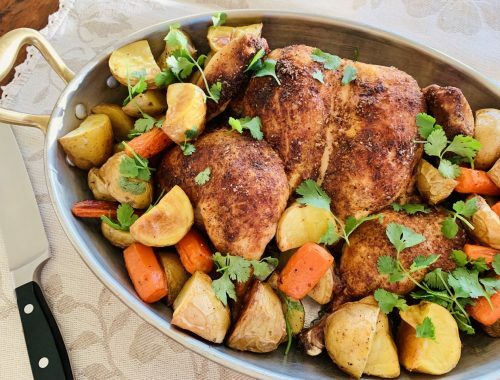 I created an easy sheet pan version of this delicacy, which is juicy, tender and oh-so delicious. 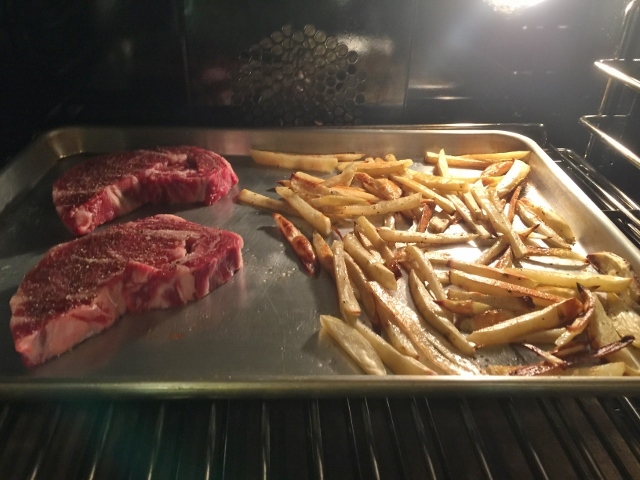 All you need are a couple of Russet Potatoes and two steaks and a sheet pan, it doesn’t get much easier than that! The ingredients are simple, the flavors are tremendous and dinner is done within 20 minutes – preparation, cooking and all. The steaks are super succulent, maybe not as brown on the exterior as they would be if you seared them in a pan, but the taste, divine. This recipe is a must if you haven’t tried it and the crispy fries with a dusting of Parmesan and herbs, well…it’s just what the doctor ordered, so to speak. 1. Preheat the oven to 500 degrees, or as hot as your oven will go. Make sure your oven is clean or it will smoke! 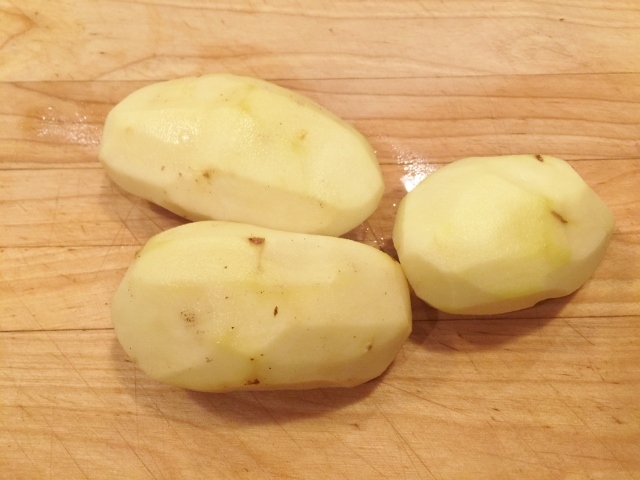 Slice potatoes into 1/4-inch thick pieces and place them on a sheet pan. 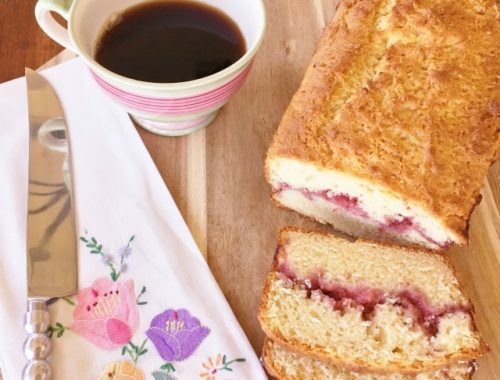 Drizzle with grapeseed oil and toss. Sprinkle the potatoes with salt and pepper and lay them out flat on the pan. 2. 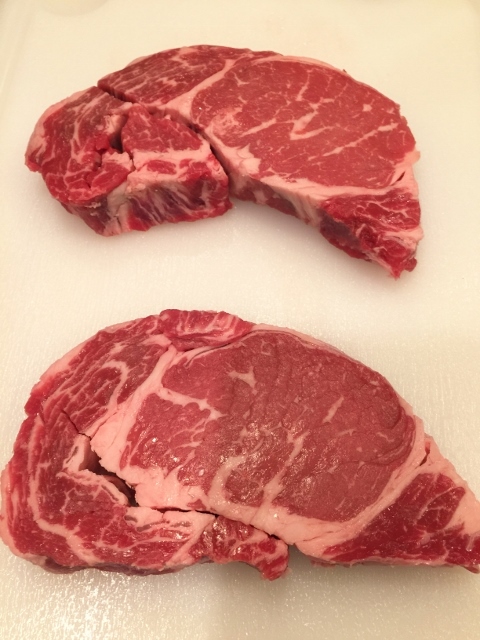 Season the steaks with salt and pepper on both sides. 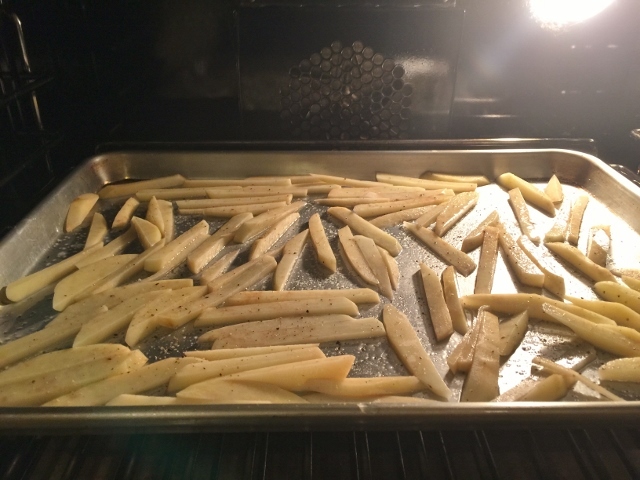 When the oven is hot, bake the fries for 15 minutes or until they just start to turn golden brown. 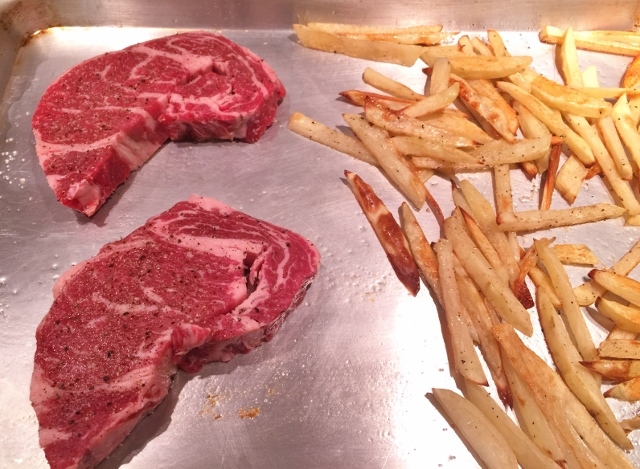 Using a spatula, push the fries to one side of the pan and place the steaks on the other side. Place the sheet pan back in the oven for 8 minutes. 3. 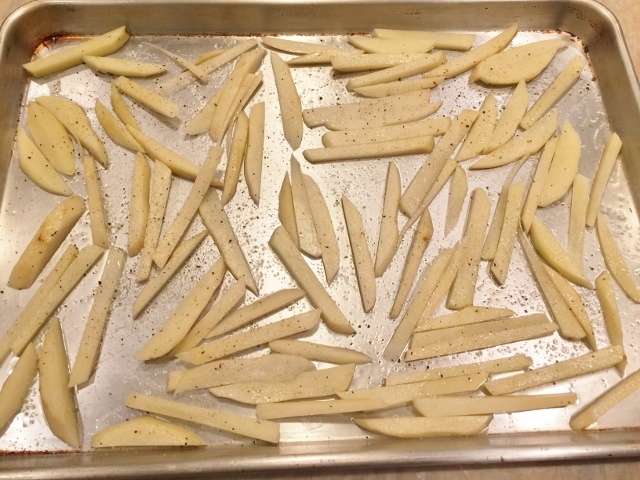 Turn the heat to broil or place the sheet pan under the broiler, and cover the fries with a piece of foil. Broil the steaks for 1 1/2 minutes. 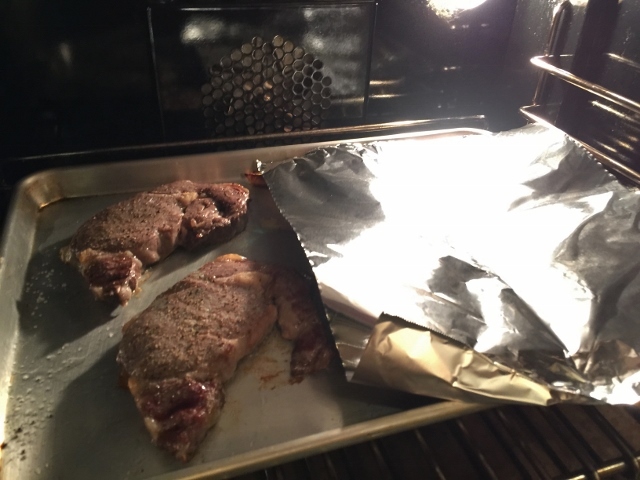 Remove the sheet pan from the oven and place the foil over the steaks to rest for 5 minutes. Rough chop the parsley and sprinkle the fries with both the parsley and Parmesan cheese. 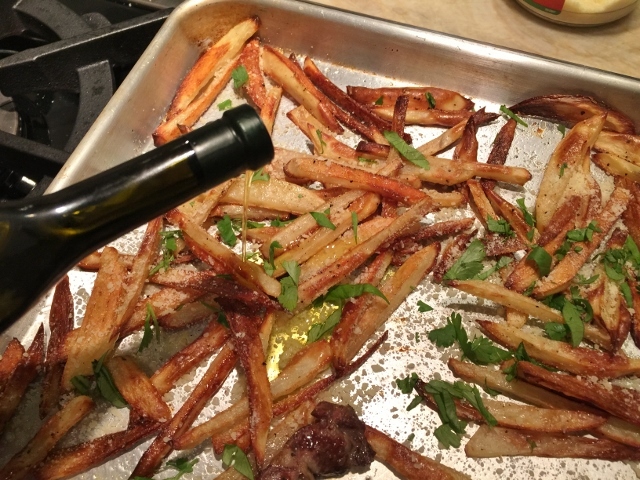 If you have truffle oil, drizzle over the fries and toss (you can always use good olive oil). Serve and enjoy! 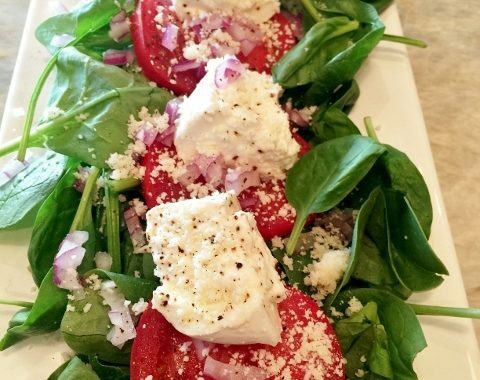 Tomato, Burrata & Spinach Salad – Recipe!